Captain Henry Feeney joins Andy and Rich for the final outing of the season. 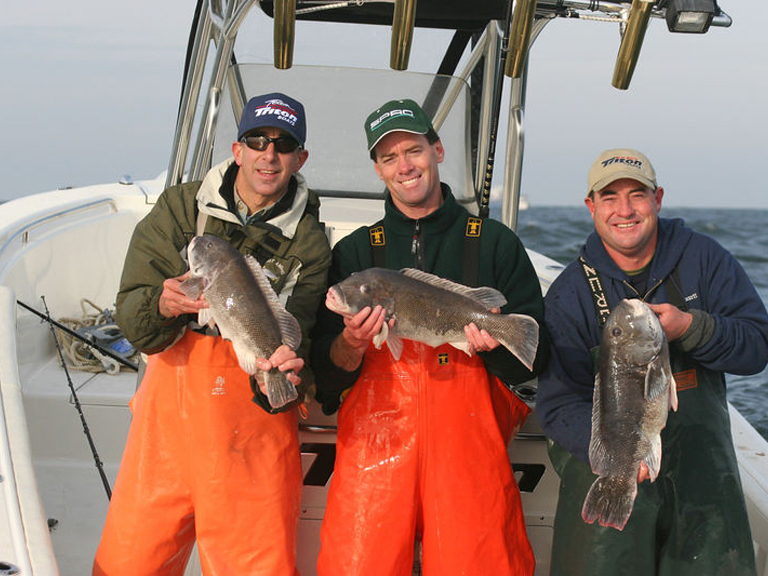 The guys travel out of Sheepshead Bay, NY and take a short ride to Sandy Hook, NJ to fish in 50-70ft of water for some monster early winter black fish including several 8-10lb fish. The techniques in this show can be used by anyone who targets fall blackfish in deep water. If you have questions about any of the equipment used during the show, please contact us.